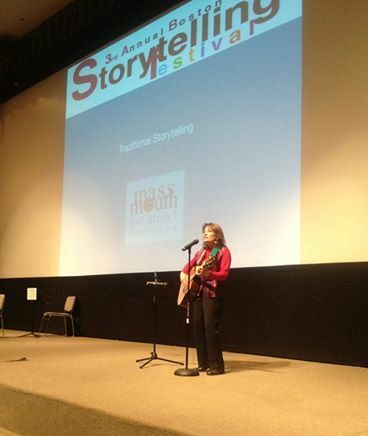 From FirstNight Boston to colleges, schools and libraries around the United States storyteller Alicia Quintano brings a unique combination of humor and dramatic interpretation to performances of personal stories, original songs, and selections from world folklore. She has taught writing and storytelling to students as young as eight and as old as eighty receiving enthusastic reviews for her creativity and supportive teaching style. Click on pages to the left of this column for reviews and program descriptions. After working with two 3rd graders at an elementary school in New Paltz, NY Alicia submitted their fable for publication. It has been accepted by STONE SOUP, the premier magazine of children’s art and literature for publication in 2019.